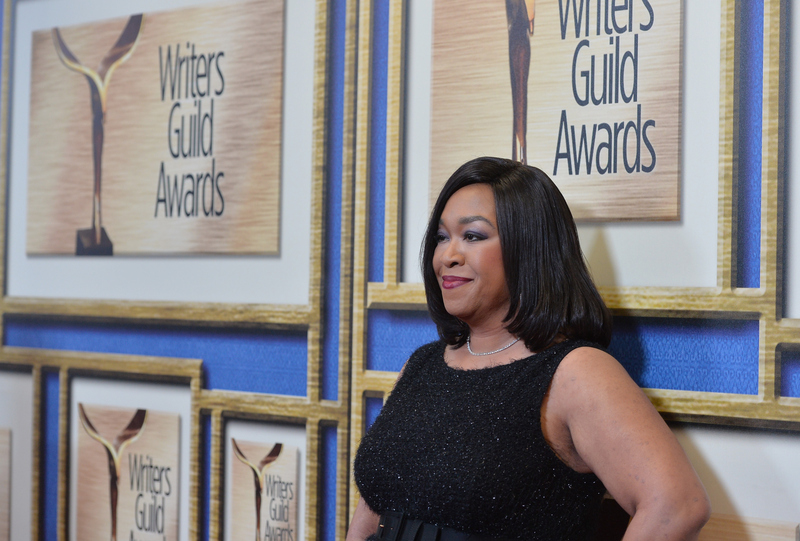 I hear people say all the time that a job worth doing is worth doing well, but, somehow nothing has ever driven that point home more successfully than the story of where Shonda Rhimes got the inspiration for Grey's Anatomy . I know it's hard to remember, since Scandal and How To Get Away With Murder eclipse so many more of the headlines, but the behemoth that is Grey's Anatomy is still on the air, plugging away in its 12th season. Holy crap. Both the show and Rhimes herself have been institutions for so long now that it's hard to think of a time before they were household names, but, once upon a time, Rhimes was just a high school student absorbing ideas out in the world that would influence her future projects — and one of the jobs she worked as a teenager directly led her to the idea for Grey's Anatomy. I had been a candy-striper in high school. I always found medicine very interesting but being a candy-striper was all about the people in the beds and how late the doctors were working. It felt like there were a thousand stories in every room and there is something really great about that idea. And then surgery, just the idea that you could hold a human being's heart in your hand and you are responsible for life or death. For me, I felt like those were the warriors. That was really intriguing for me. There is something so wonderful to me that the germ of this idea was planted in the process of a job that might have, on the surface, seemed like it had nothing to offer except exposure to medicine. But Rhimes has always proven that life is what you make it, and the lesson that we can all learn from her here is about squeezing every last drop of potential out of every moment. I don't know about you, but this makes me want to get my face out of my phone, stop stressing about my resume and where I'm supposed to be by now, and just open myself up to the experiences that life can bring me in a more productive way. Let's do this!